Let me take you along the Gardens path… I think you’re in need. What a winter it’s been. For the second year in a row the Maritimes have been subjected to a barrage of foul weather. Incessant, unrelenting and unfair. But it’s not like there’s a complaint department one can appeal to. Nor in most cases, do people have a choice to pick up stakes and move. So like the tough folk that you are, Maritimers grin and bear it, and have had lots of opportunities to form tight-knit communities who help each other in times of need and find a great excuse for an impromptu kitchen party. I figure you deserve a little colour in your lives and a reminder of what a glorious place we live in. So please, join me for a walk along the Gardens path… it won’t be long before you can join me for real. 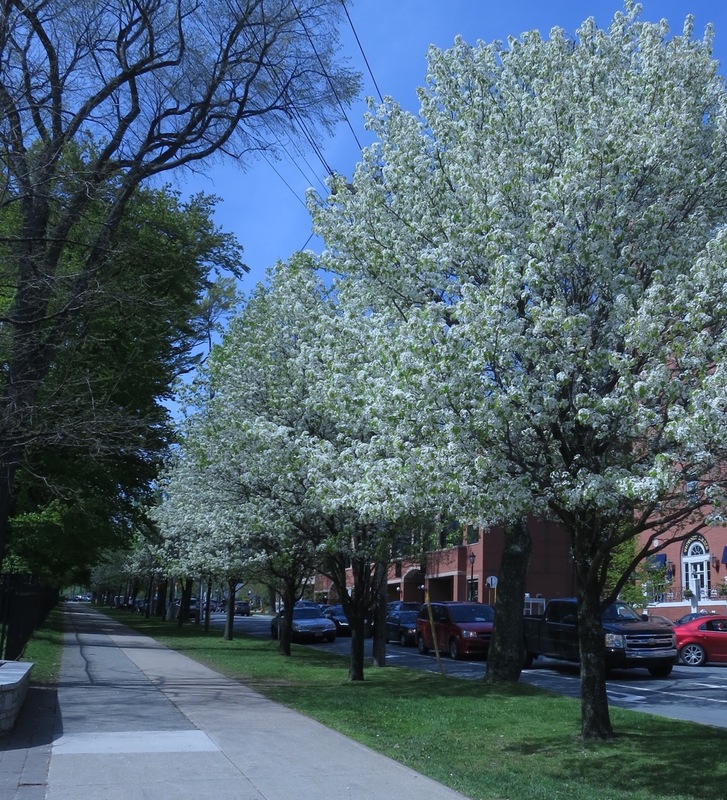 Ornamental pear trees (Pyrus calleryana) line the boulevard outside the perimeter fence on South Park St. 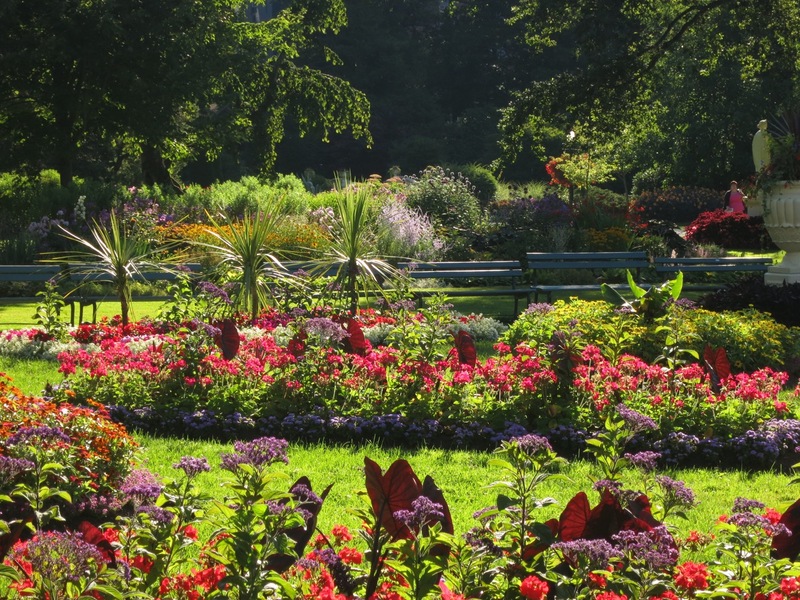 They provide a beautiful buffer zone between the Gardens and the busy center of the city. Unfortunately the gates have not been open for a while though historically they open for the season in mid-April. That’s only 4 weeks away! We’ll have to wait and see if the weather will permit it this year. The Power memorial baths celebrate the three great horticulturists who cumulatively ran the Gardens for ¾ of a century, beginning with the first superintendent Richard Power. A Mediterranean bed is planted along side it, just inside the main gates. The two bridges which cross the lower stream. This area was heavily damaged by Hurricane Juan creating an opportunity to widen the stream bed and plant a new extensive border along either side. The upper bridge is one of the most photographed areas of the Gardens today. A small portion of the ‘new’ border along the stream, between the upper bridge and the bird enclosure. 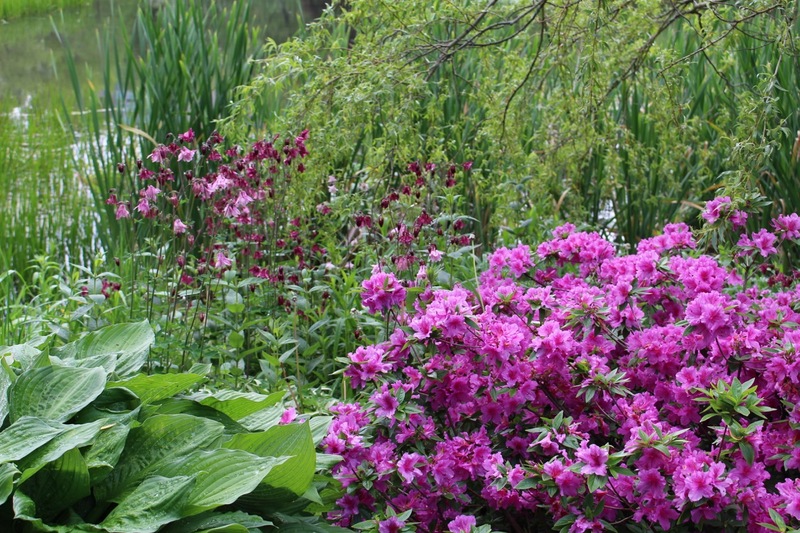 This area is particularly pretty during the spring when the many varieties of Rhododendron are in bloom. It also has several varieties of Japanese maple trees (Acer palmatum) which are some of the last trees to put on a spectacular fall display. Ice can sometimes be a beautiful thing, though you are forgiven for not agreeing with me at the moment. 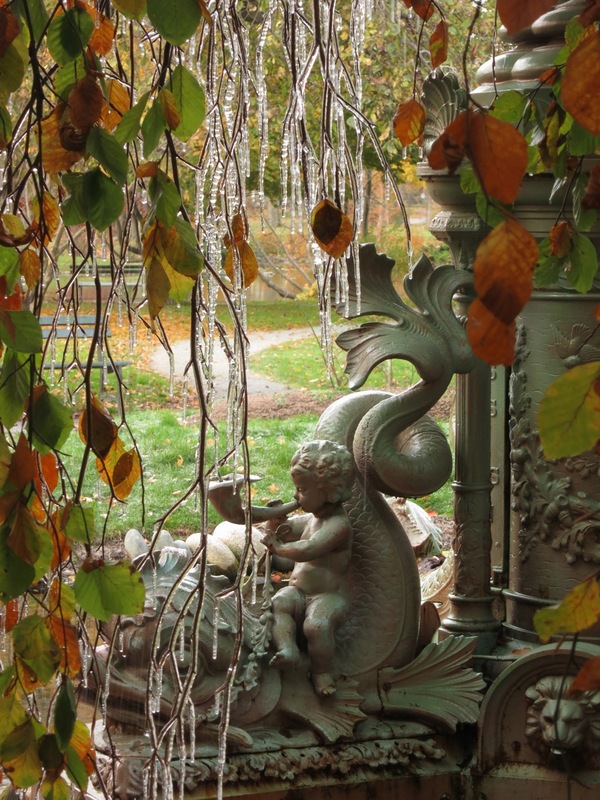 An early freeze turns the weeping European beech tree (Fagus sylvatica ‘Pendula’) by the soldier’s fountain, into a crystal chandelier. The shoreline of Griffin’s pond in the spring. 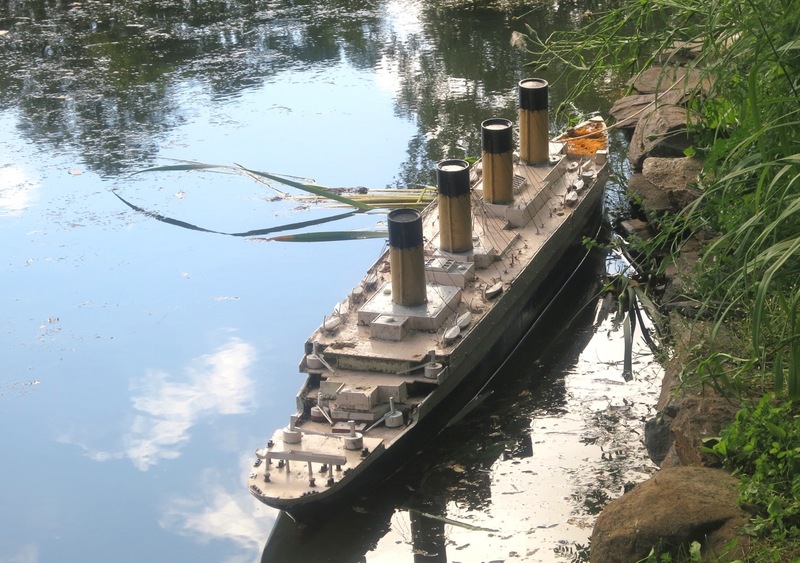 The Titanic model broke free of it’s mooring and drifted to shore a few years ago. It was a great opportunity to see the detail that we miss from afar. The model was extensively restored last year. The greenhouses are a part of the Gardens the public seldom sees. 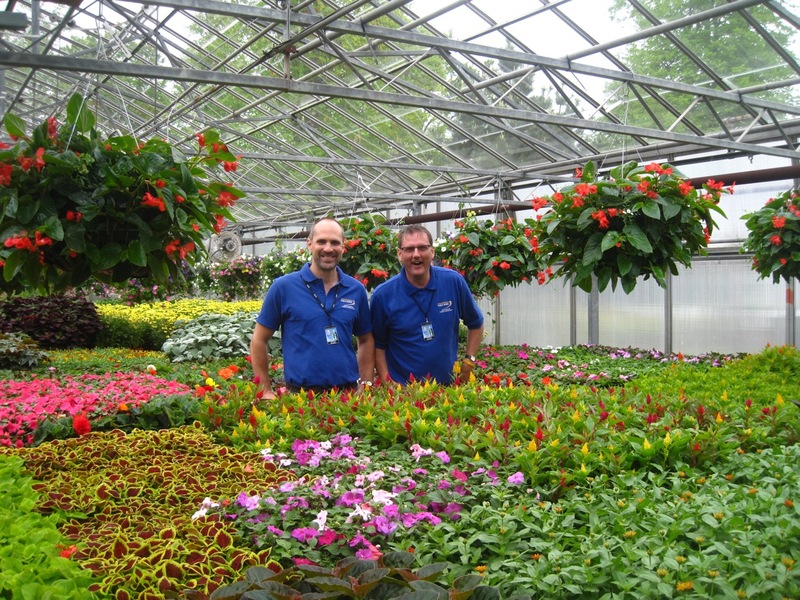 They are generally open to the public every couple years during the Open House, to give you the opportunity to see the behind the scenes operation and chat with the gardeners and other staff members responsible for keeping the place flourishing. The newly restored Victoria Jubilee fountain was inaugurated on the night of Nocturne Art at Night in 2012. It was a truly unforgettable event. The fountain was lit by ever-changing coloured spotlights accompanied by Handel’s Water Music. Don’t miss this opportunity to re-live it here. Gobsmacked!!! I love this spectacular katsura tree (Cercidiphyllum japonicum). It never fails to stop me in my tracks, spring through fall. Vintage Victorian geometric beds. They are at least 140 years old, though they were re-cut and the soil regenerated after Hurricane Juan (and likely a few more times besides). The lighthouse on the man-made island in the middle of Griffin’s pond replaces other ornamental structures which have stood there since William Barron (Chairman of the Commons Committee) talked the City of Halifax into allowing Griffin’s pond to become part of the Public Garden. 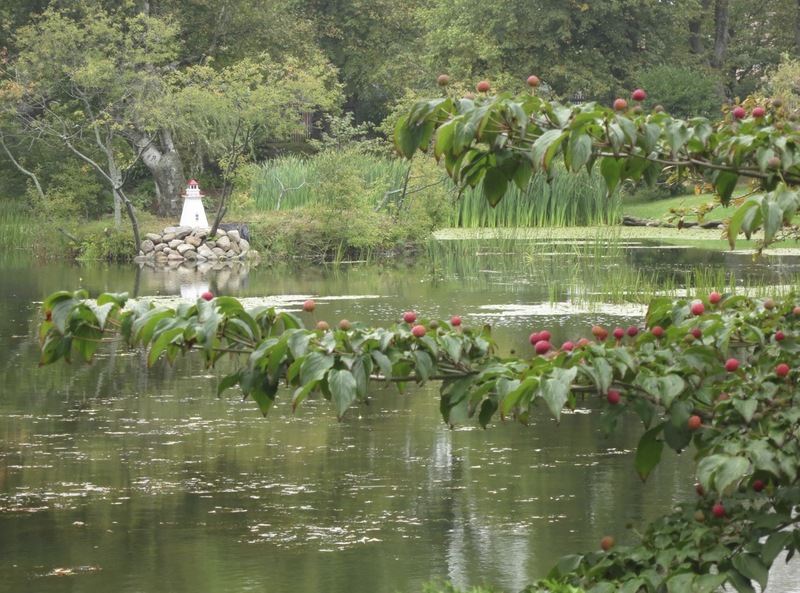 In 1878 the island was enlarged and the shoreline of the pond was given a more natural look. 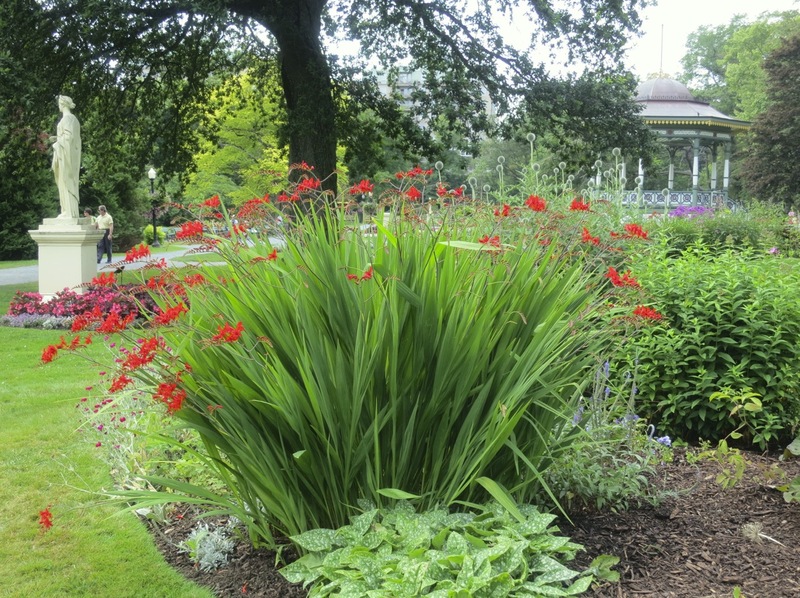 One of the ever-changing perennial beds to be found at the Gardens. There are altogether eight of them. They are located on either side of the bandstand, by the lower stream and around the soldier’s fountain. 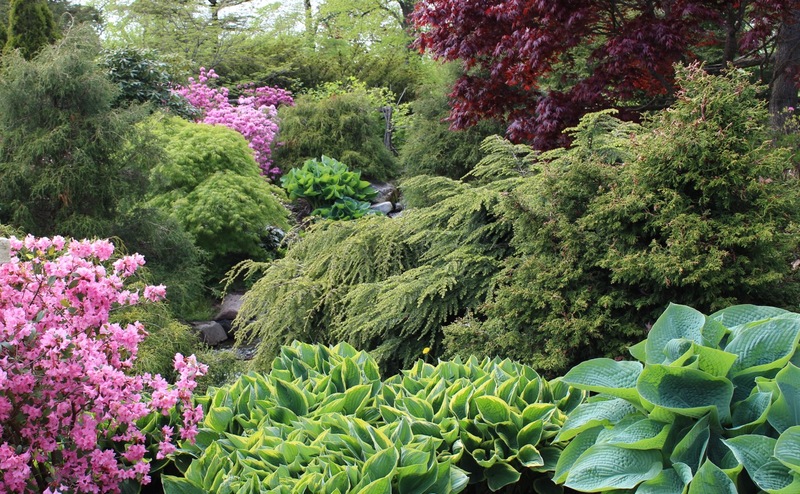 Aside from providing an ever-changing palette for seven months of the year, they are also a wonderful sample of the perennials available to Maritime gardeners. One of my favourite parts of the Gardens and my favourite coloured rose. 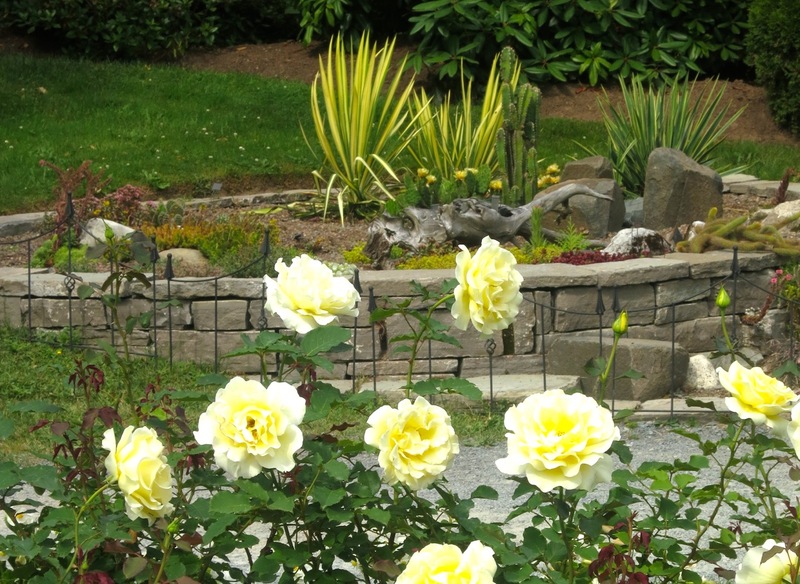 The yellow roses by the tropical display bed suffered terribly last year and didn’t put on a very good display. This photo is three year’s old. Hopefully with all the deep, deep, deep snow cover available this year, they will be well insulated and put on a stunning show in compensation. Here’s hoping! A beautiful example of using vegetables to ornament a flower bed. 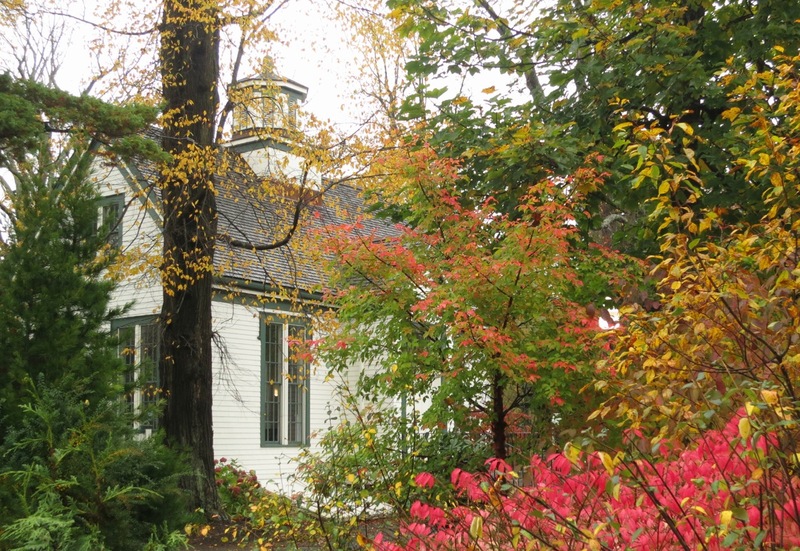 Don’t miss the Jarvis Lecture Series next week where the gardeners will be discussing how they incorporate vegetables into the Gardens and Marjorie Willison will talk about the Victorian vegetable garden. 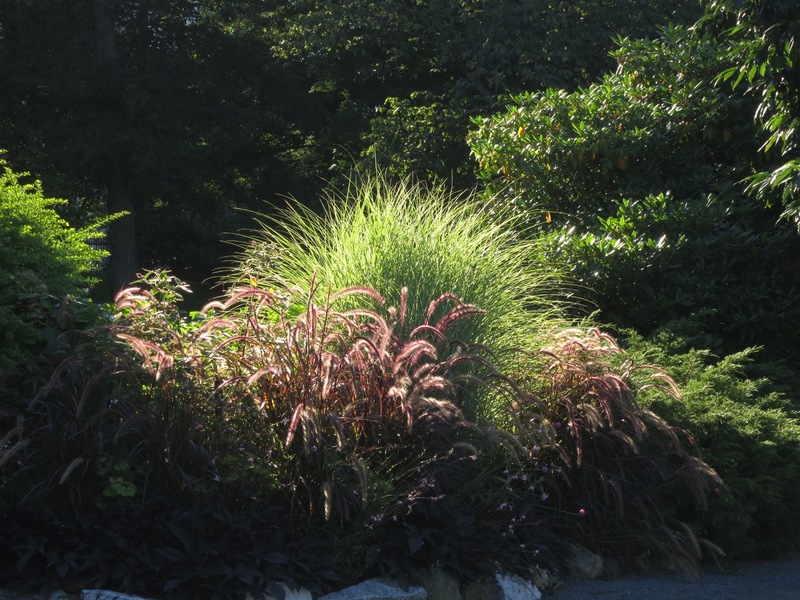 Grasses come in many forms. This is my preferred variety. No mowing. Horticultural Hall were many great memories and a few extra pounds are made. Great ice cream, beautiful interior and the best outdoor patio in Halifax. 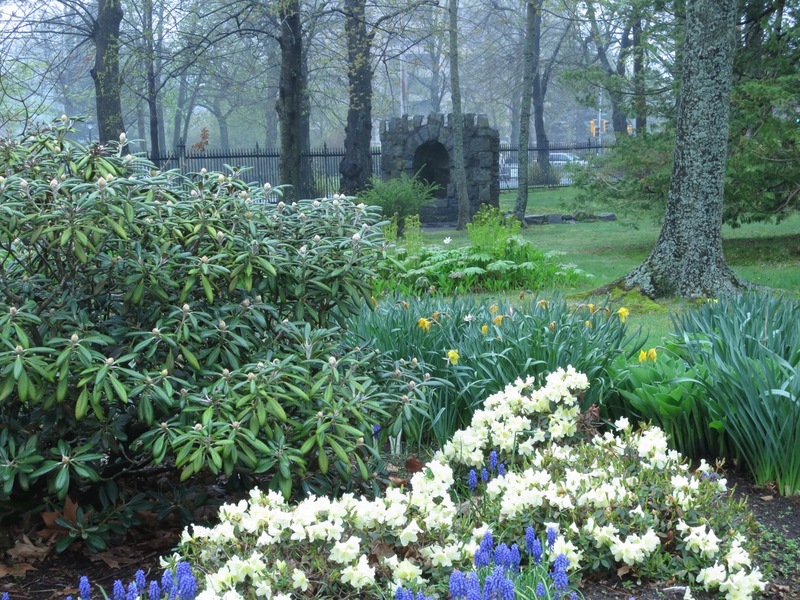 The bog area by the grotto is one of the oldest parts of the Halifax Public Gardens. 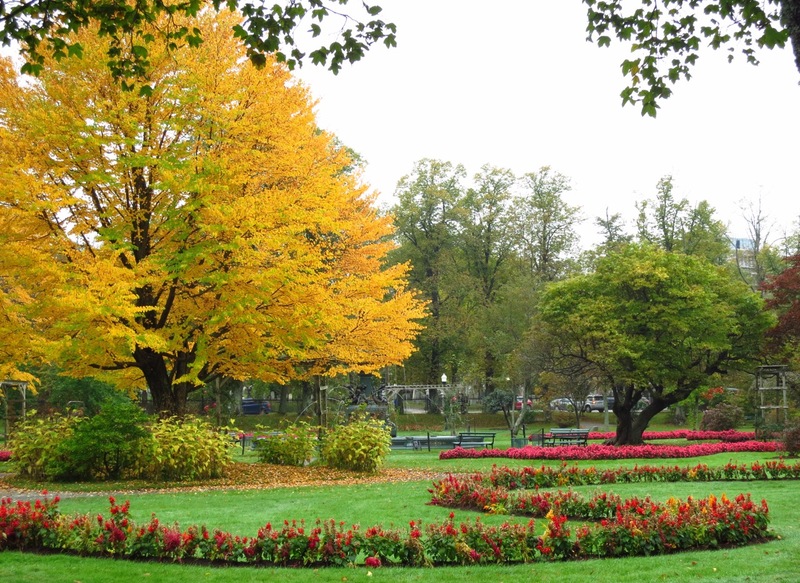 It was originally part of the NS Horticultural Society’s People’s Garden before joining the Public Gardens in 1875. Today it is one of the more tranquil areas of the Gardens as it lacks some of the flashier elements that are found in other parts. It’s worth a visit, particularly in spring when the bog is awash in yellow flags and in fall when the deeply notched palmate leaves of a huge silver maple (Acer saccharinum) turn a beautiful yellow. Though it feels like it’ll never end, before you know it spring will have arrived, the Gardens gates will be open, and it’ll all seem like a bad dream. Come out to the Jarvis Lecture at the Little Theater at Sacred Heart School next Tuesday, March 24 at 7PM. 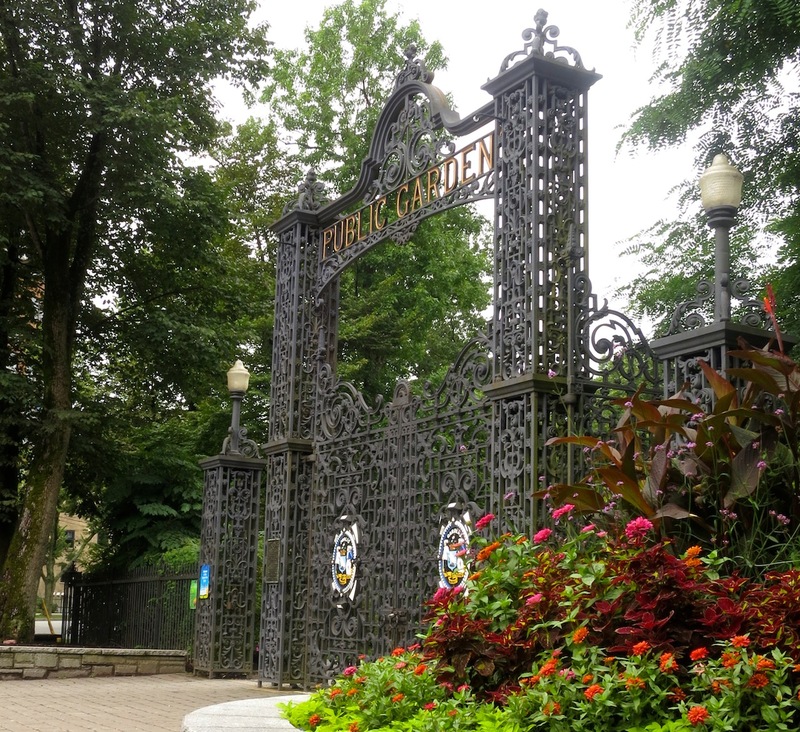 Marjorie Willison and some of the Public Gardens gardeners will be discussing the Victorian Vegetable Garden and using vegetables at the Halifax Public Gardens. Hasta pronto and I’ll take you outside the Gardens gates next time around. All copy and images copyright © Serena Graham-Dwyer, 2011-2014. If you wish to use any part or whole of an image, in any manner, please contact us. This entry was posted in photo tour by friendsblog5665. Bookmark the permalink. I and 5 others from Saskatoon will be in Halifax in early June, 2015. Serena, do you give tours of the Halifax Public Gardens? I have thoroughly enjoyed this photo tour and an earlier photo tour taken June, 2013. June 6th, first thing in the morning, is when our group was planning on touring the gardens. 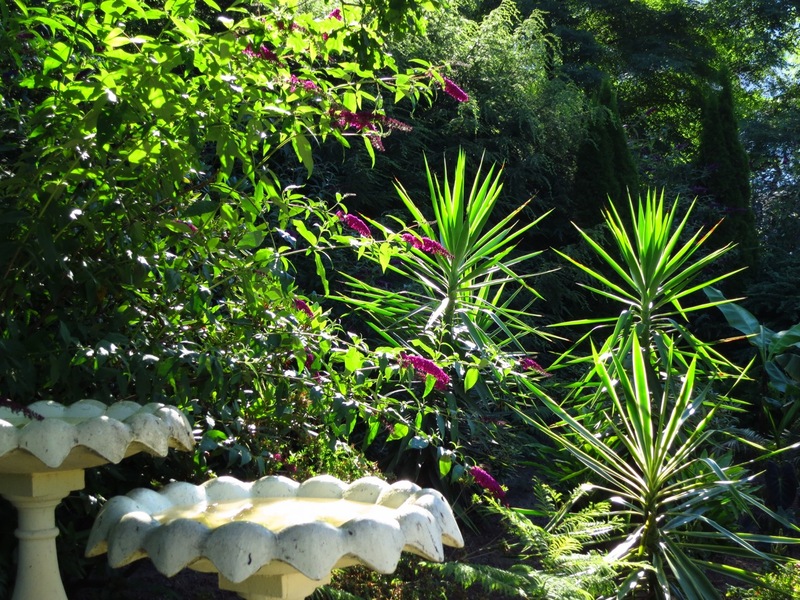 Your knowledge of these gardens would certainly ensure we fully appreciated the many eye-catching sights. If you don’t do tours, again I thank you for this post. 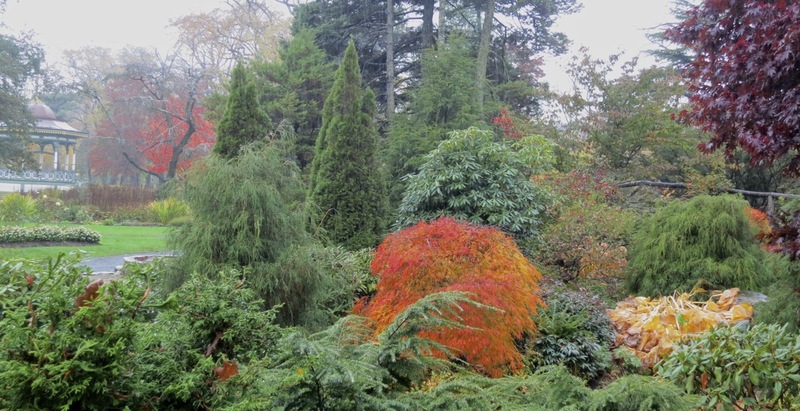 I am very much looking forward to our visit to these gardens. Do you feel 1.5-2 hours would be ample time for our planned tour? Hi Lois. I would happily give you a tour however I’ll be in Spain and don’t return to Halifax until June 12. Hope you have a wonderful time in Halifax. Thanks for contacting me. Cheers.